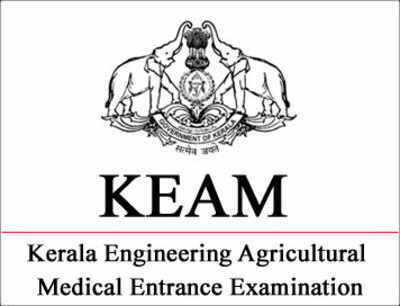 KEAM also known as Kerala Engineering, Agriculture and Medical Entrance Examination is a series of exams conducted by Commissioner of Entrance Exams Kerala. As the name itself describes, it is a state level entrance examination conducted for the aspirants willing to seek admission in Engineering, Agriculture or Medical fields. KEAM entrance examination is usually conducted in the month of April every year. KMEA entrance examination is a key to take admission in most of the top engineering and medical college in the Kerala state. Approximately more than 60000 candidates appear for KEAM examination every year and more than 80 private colleges and 37 government colleges participate in the entrance examination. More details in regards to the entrance examination is mentioned in the below article for the students reference. Commissioner of Entrance Exam (CEE), Govt. of Kerala declares the schedules for KEAM 2019 entrance examination. In the below mentioned table, the schedules regarding the entrance examination are mentioned for students reference. The eligibility criteria for KEAM 2019 entrance examination will be announced by the Commissioner of entrance examinations. The details like age, nationality, domicile, qualification, etc. of the applicants are the factors to be considered to check the eligibility criteria. Age: To appear for KEAM entrance examination aspirants should be minimum 17 years of age as on 31st December 2019. Nationality: Candidates should be an Indian by nationality to appear for KEAM 2019 entrance examination. Persons of Indian Origin (PIO)/ Overseas Citizens of India (OCI) will also be considered eligible. Domicile: Resident and non-residents of Kerala state can apply for KEAM 2019 entrance examination. Non-residents of Kerala will be categorized into different category during admission. Qualification: Aspirants pursuing or completed intermediate from a recognized board will be eligible for appearing for KEAM 2019 entrance examination. Required Scores: Candidates should attain a minimum of 50% aggregate in 12th with mandatory subjects like Physics, Chemistry and mathematics to appear for KEAM 2019 Entrance Examination. In case of reserved category candidates 5% relaxations will be provided. KEAM 2019 application form will be released by the CEE authorities through online mode from its official website in the month of February 2019. Aspirants willing to appear for the entrance examination can apply through online mode. Registration of the candidates: Candidates can register through online mode by visit the official website of KEAM 2019. Once the password is been created by the candidates application number is generated. Uploading Documents: Aspirants will have to upload the scanned copies of their recent passport size photographs, signature and left hand thumb impression. Filling of Application Form: Candidates will have to filling the required details like personal details such as name, contact information, etc. and academic details such as qualification. Make the payment: Candidates can make the application form fee payment through online mode via net banking/credit card/debit card and through offline mode via e-challan from a nationalized bank. Take the printout: After filling the application form, take the printout of the duly filled application form for the further reference. Submission of Application Form: Aspirants will have to take a print of the duly filled KEAM 2019 online application form and send it through speed post to “The Commissioner for Entrance Examinations, 5th Floor, Housing Board Buildings, Santhi Nagar, Thiruvananthapuram – 695 001”. CEE, Kerala will proclaim the exam pattern of KEAM 2019 entrance examination. Examination is declared to be conducted on 2 days considering various factors. Candidates can check the below mention exam pattern details to get prepared for the entrance examination. Mode of Examination: KEAM 2019 entrance examination is a pen and paper based examination. The examination will be conducted in offline mode. Medium of Examination: KEAM 2019 entrance examination will be conducted in 2 languages, i.e. English and Hindi. Duration of the Exam: KEAM 2019 entrance examination will be held for 150 minutes. Question Paper Format: KEAM 2019 entrance examination is framed by objective type questions. Question paper consists of multiple choice questions, candidates will have to choose the correct answer from the options provided. Total Questions: Paper I consist of 120 questions combining of Physics and Chemistry subjects. Papers II consist of 120 questions for mathematics subjects. Total Marks: Total marks for KEAM 2019 entrance examination will be 480 marks for Paper I and Paper II each. Marking Scheme: In KEAM 2019 entrance examination, every correct answer will gain 4 marks and every wrong answer will deduct 1 mark. KEAM 2019 entrance examination admit card will be released in the month of April 2019 through online mode. Candidates should mandatorily carry their admit card to the examination center, if failed to carry admit card the candidate will not be allowed to attend the exam. Visit KEAM 2019 official website and navigate to Admit Card link. Provide the application number and password and click on submit. Check the details and take the printout of the admit card. Commissioner of Entrance Examination declared the results of KEAM 2019 entrance examination. Candidates will have to score minimum 10 marks in each paper to qualify the examination. Qualified candidates can opt for counseling sessions for admission. Visit the official website of KEAM and navigate to Results link. Login with application number and password. Download the score card and take the printout of the same. Counseling for KEAM 2019 Entrance Examination will commence soon after the declaration of results. Aspirants qualified the examination can register for counseling through online mode or by visiting facilitation centers. Candidates will have to choose their preferred colleges and course for the seat allotment process. Score Card of KEAM 2019. 6 Passport size photographs of the candidate. Fees receipt issued by the bank. CEE authorities has established KEAM 2019 examination center in various parts of the country. The examination center is been established in across 18 cities in India and 1 center in abroad. Aspirants can choose the nearby exam center at the time of application form filling.